Tomorrow, I'll be toeing the line at the Antelope Island Buffalo Run 25K. After not racing for a few months during the winter, the first race of a new year always brings some anxiousness. I get excited and nervous all over again but running among others makes me remember how much I love the sport of running and the community aspect of it. This race will be the longest trail race I've ever done and likely the most difficult. I've done a couple of trail 10Ks before but I'm excited to participate in a 25K that takes place on a gorgeous island! 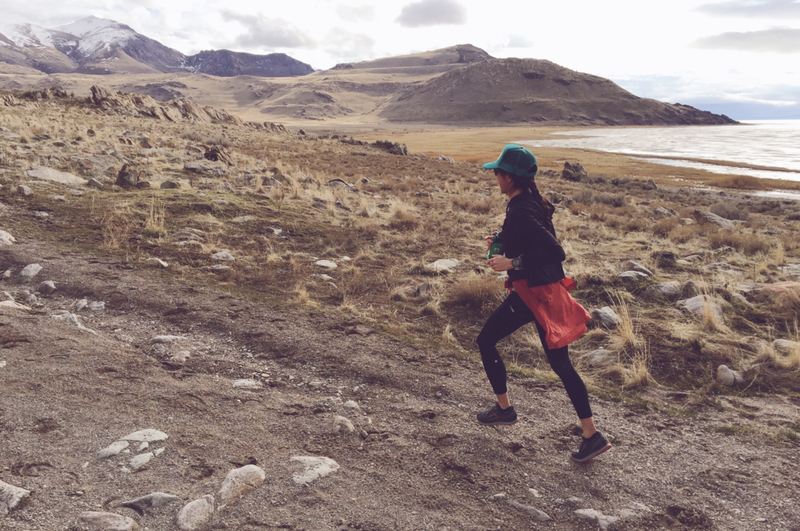 Antelope Island State Park is beautiful and the landscape is unlike anything else in Utah. Back in February, Geof and I went out to the island three weekends in a row to get some practice runs in and to get a feel of the terrain. The course will be tough—2,000 feet of elevation gain—but the scenery will make up for it. Look at how beautiful it is out there! It's surreal to run among the animals and it's common to encounter bison, antelope and mule deer on the trails. I'm beginning to feel the pre-race butterflies but I can't wait to start this year's race season! I'll be back soon with the race report. I'm crossing my fingers that it goes well!